William Pluck flies through the new track with Sarah Walker in tow. Cambridge Primary School opened their new bike and scooter tracks with a roar on Friday as scooters, bikes and even motocross riders took to the track. 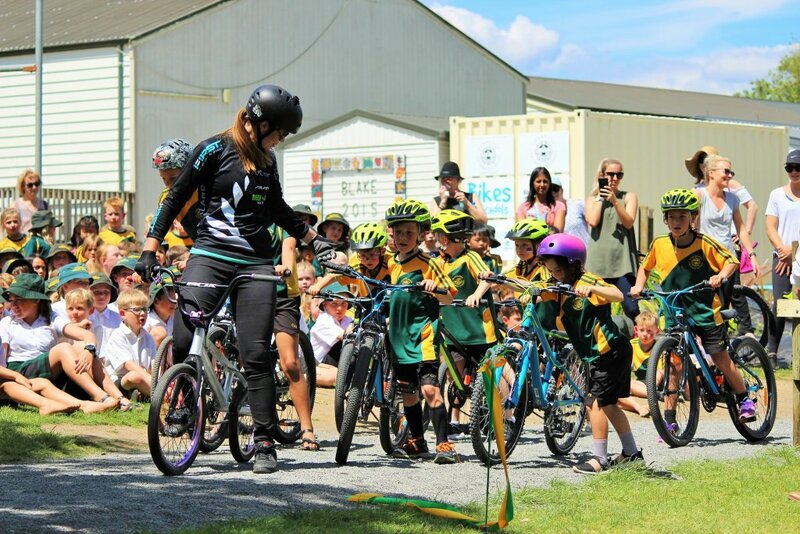 Cambridge’s world-class BMX star Sarah Walker was on hand for the official ribbon cutting, before she and a few of the school’s BMX riders tested out the new track. 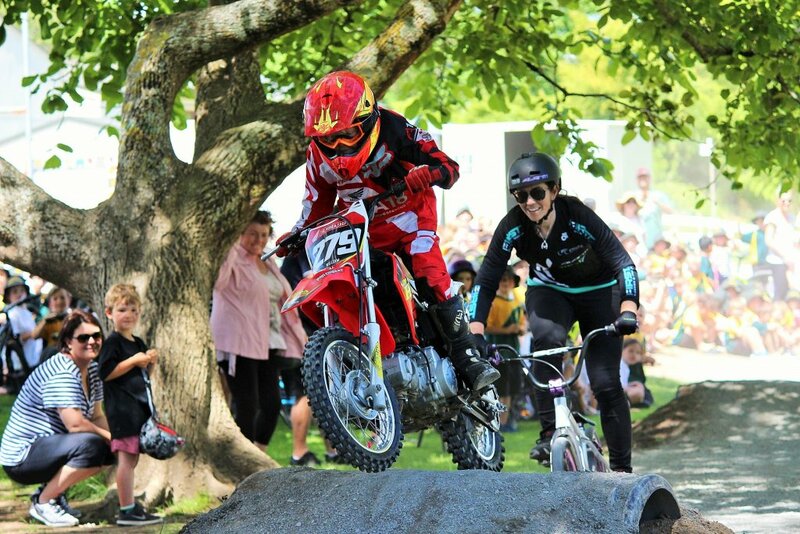 Then motocross champions and Cambridge Primary School students William and Harry Pluck revved up their motorbikes and roared across the track. Students line up behind Sarah Walker for the first official ride on the track. Both a concrete scooter track and a gravel bike track were opened at the school last week, made possible by the support of the local community. 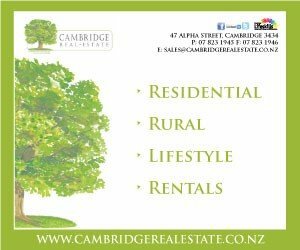 The Board of Trustees covered $15K, the Parent Teachers Association gave another $10K, Cycling NZ gave $15K, plus $5K came from Kiwisport, $1500 from Jumble Around, and a raft of other donations from local good sorts. A student-led Vision Project is how the whole thing came about – students came up with a range of different projects and then the whole school voted on their favourites, to decide how their project budget would be spent. “They voted on it, and the most-voted project got done first,” Mike explained. The next project based on popular student votes is a waterslide, which will be looked at early next year. As part of the new bike and scooter tracks, 40 new bikes were supplied to the school by Spoken Cycles, so that all students will be able to enjoy their new tracks.